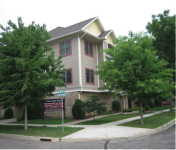 Three Links Apartments is an affordable, 84-unit senior housing project located in Northfield, Minnesota. 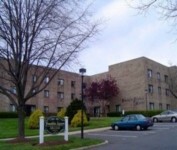 The project was developed in the mid 1970’s under HUD’s non-insured State HFA Section 236 interest rate subsidy program. 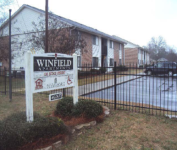 The project had significant outstanding deferred maintenance loans coming due. The Section 236 Interest Rate Payment and Rental Assistance Payment contracts (RAP) were set to expire. Terms of the Section 236 Mortgage Note prohibited prepayment prior to loan maturity without the prior written approval of HUD and the Minnesota Housing Finance Agency. Affordable rent restrictions and expiring project-based rental and debt service payment subsidies provided insufficient cash flow to pay off maturing loans and jeopardized the project’s affordable housing status. As constructed, the property was seriously non-compliant with regard to current fair housing standards. The project, while well maintained, had significant capital repairs needs as an older project with building system in place from original construction. Rockhall leaned on its expertise in the Section 236 and Section 8 Housing programs to navigate the 236 prepayment process and to obtain approval to convert expiring rental subsidies to project-based rental assistance. Rockhall doubled the number of units receiving project-based rental subsidies and increased rents 35% under the new Section 8 HAP contract. 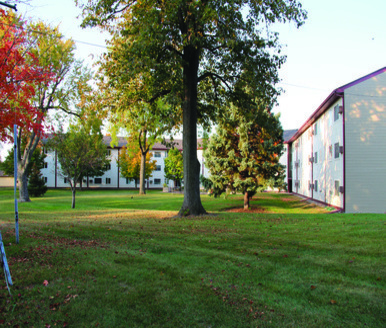 Rockhall utilized FHA insured financing to pay off all existing debt, fund $1.4 million for repairs, improvements, and accessibility modifications, and to fund a significant deposit to replacement reserves. The 236 prepayment/223(f) refinance locked in a low fixed interest rate for a 35-year term, and provided the project with a new Section 8 HAP contract for a 20-year term, ensuring the long-term affordability and economic viability of the project.